Anna had advanced lung cancer that wasn’t responding to treatments. She started on a clinical trial at MSK that targeted her cancer on a molecular level. Today Anna is back home in Brazil with no evidence of disease. Hear from our doctors, who say that the FDA approval of larotrectinib delivers on the original promise of precision medicine. Anna Muniz had Hodgkin lymphoma when she was a teenager. Sixteen years after treatment, she learned she had stage IV lung cancer. Anna wasn’t responding to treatments in her home country of Brazil, so she took a test to have her tumor analyzed for genetic mutations. Anna tested positive for a TRK mutation, which MSK lung cancer specialist Alexander Drilon happened to be studying. Anna connected with Dr. Drilon, and she agreed to participate in a clinical trial for a new medicine he was testing. The medicine, larotrectinib, works specifically on the TRK mutation — regardless of cancer type. Anna flew to New York to take part in the trial, and today, her scans show no evidence of disease. In 2013, 16 years after undergoing treatment for Hodgkin lymphoma as a teenager, Anna Muniz found a lump on her neck. Anna, a market researcher, underwent a biopsy near her home in São Paulo, Brazil. She was stunned to learn that the disease she thought was in her past had come back in a new way: as stage IV lung cancer. Having had chemotherapy before, Anna knew what to expect when she began the treatment again. Six months into her regimen, when the cancer hadn’t subsided, doctors switched her to another chemotherapy drug and started her on radiation therapy. “We expected that to work, but unfortunately, the cancer was still there,” she says. Learn about larotrectinib, the first cancer drug to be FDA approved for adult and pediatric patients at the same time. Anna’s situation perplexed her doctor, who recommended that Anna submit a sample of her tumor for genomic analysis. This type of test looks for genetic mutations that could make cancer particularly aggressive or resistant to treatment. If Anna had certain mutations, she could potentially take a medicine that targets those specific mutations, thus destroying the cancer. The test was not covered by Anna’s insurance, but­ she and her husband were desperate for clues — and a glimmer of hope. Anna’s test revealed three genetic mutations. Although medicines were being developed to target them, they weren’t readily available. So Anna underwent a third round of chemotherapy, which made her very ill. But Anna and her husband held onto their faith. And unbeknownst to her, nearly 5,000 miles away in New York City, a doctor was looking for people just like Anna. Alexander Drilon is a lung cancer specialist who is also Clinical Director of the Early Drug Development Service at MSK. His latest research is on TRK fusions, which are mutations in certain genes that promote cancer’s development. One of the three mutations Anna had was a TRK fusion. Together with his colleague David Hyman, Chief of the Early Drug Development Service, Dr. Drilon was studying a medication called larotrectinib (Vitrakvi®; LOXO-101) that can stop the chain of events that encourages cancer to grow. “If you can knock out the protein made by the TRK fusion, then you can potentially knock back the cancer substantially,” Dr. Drilon says. Larotrectinib attacks tumors at a genetic level and can therefore combat different types of cancer that share the same genetic errors. In clinical trials, it was benefiting many patients. 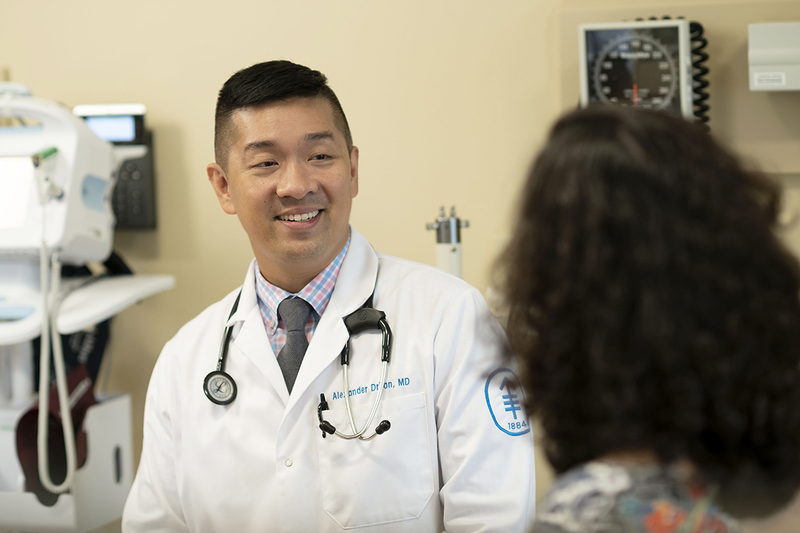 “With larotrectinib, there’s a very good chance of making the cancer shrink, decreasing symptoms, and keeping the cancer at bay for a long period of time,” Dr. Drilon says. Larotrectinib is unique for a number of reasons. For one, it has the potential to help many people with cancer, including children. Medicines for pediatric cancers are often slower to develop than those for adult cancers. In December 2015, Dr. Drilon received a call from Anna’s doctor in Brazil, who had been researching TRK fusions. They spoke about Anna’s situation and Dr. Drilon’s clinical trial. Anna flew to New York City to take part in the clinical trial with Dr. Drilon. Her first dose of larotrectinib was in March 2016. Larotrectinib is given as a pill, so Anna didn’t have to stay in the hospital to receive it. And the medicine didn’t make her sick like the others had. While she had a small recurrence after many months, the area was radiated and she went back on the medicine thereafter. Today, Anna’s scans show no evidence of active disease. Due to the clinical trial schedule that closely monitored each participant, Anna has had to fly to New York each month to pick up her medicine in person. The travel proved strenuous for Anna and her family, but she says it was well worth it. Larotrectinib has allowed [Anna] to live her life in a meaningful way again. If her cancer had not been tested for a TRK fusion, things may have turned out very differently. Anna has since returned to work and is buying a home with her husband. Over the past few years, she has developed a special relationship with Dr. Drilon. Alexander Drilon has received honoraria for consulting and serving on the advisory board for Loxo Oncology and participates in research that is sponsored and supported by Loxo Oncology. David Hyman has received grants from Loxo Oncology.